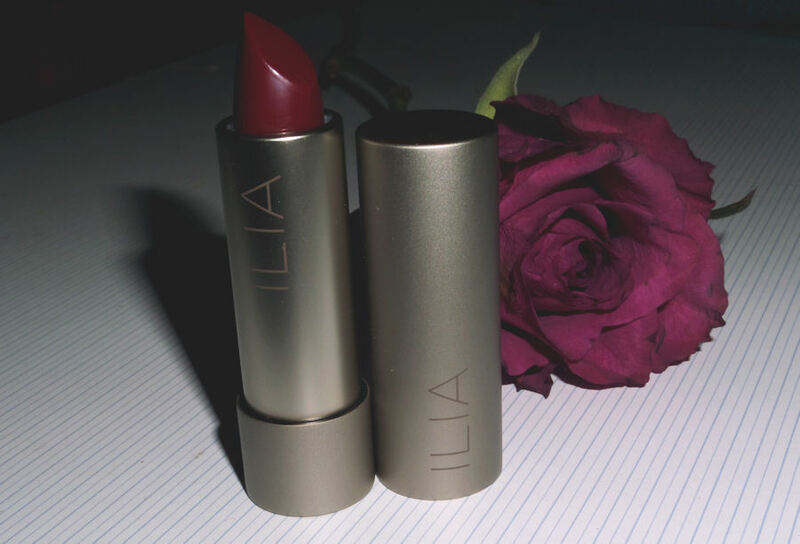 ILIA Tinted Lip Conditioner - Araban Knights: ILIA Tinted Lip Conditioner collection combines organic ingredients (like organic jojoba and seasame seed oil, organic cocoa seed butter, pomegranate and grape seed extracts and orange, vanilla and Jasmine oils) to soothe and condition the lips. Each of their shades carries a sheer touch of color, that increases it's intensity when applied liberally. Arabian Knights is a beautiful sheer "berry stain" color which as you already know, is popular nowadays. 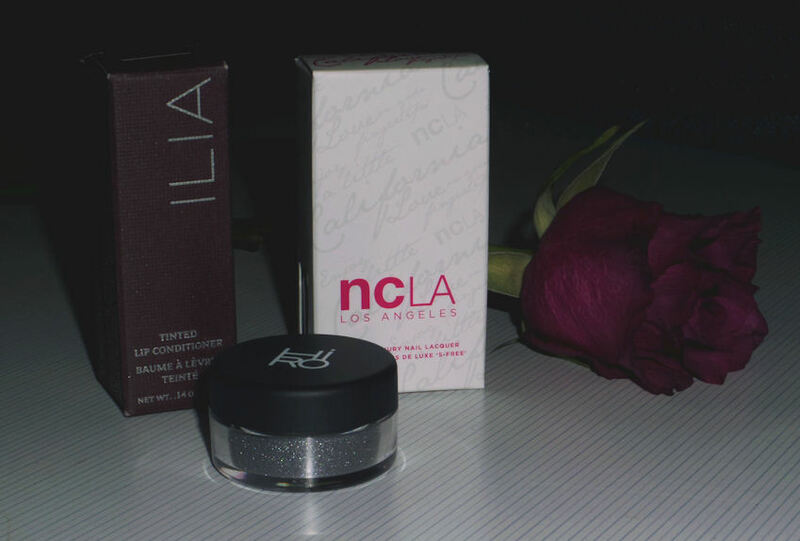 The formula of this product is excellent, it's moisturizing and hydrating just like a lip balm and makes your lips look natural. It's very pigmented so you have a lip balm and lipstick in one. It goes on so smoothly and leaves my lips feeling soft and silky. It lasts for hours until the full amount of color applied fades. 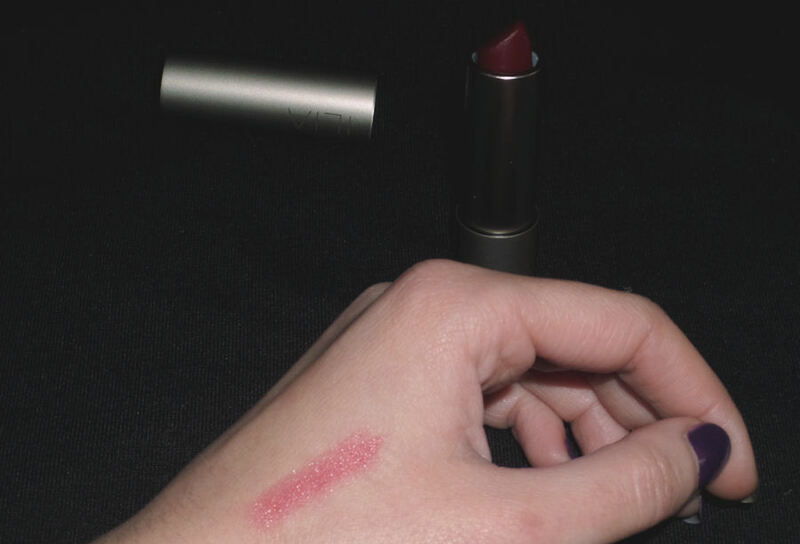 It looks great as a sheer berry tint for the day and with a few extra coats of color, I can turn that sheer color into a deeper, sultry red for the evening. 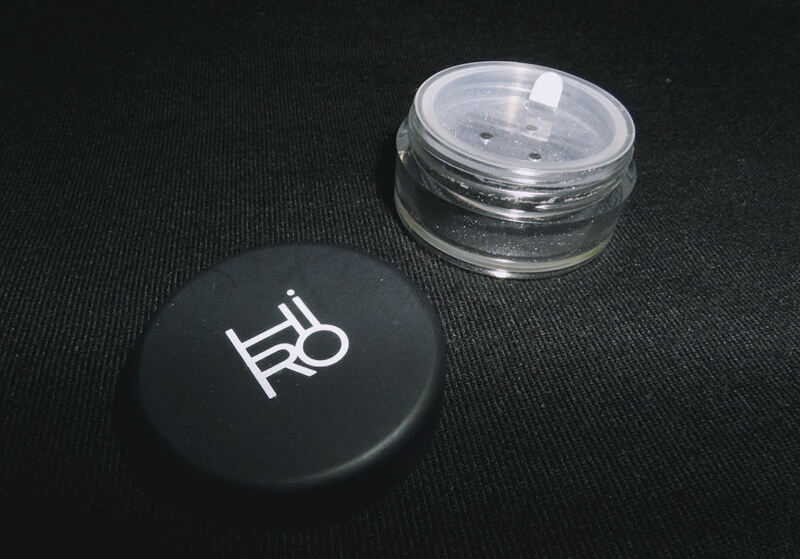 HIRO Mineral Eye Shadow - Grey Matters: HIRO is a natural cosmetics brand that makes mineral makeup. As you noticed, I rarely use eye shadows in my makeup, and when I do they must be dark, blacks or greys. 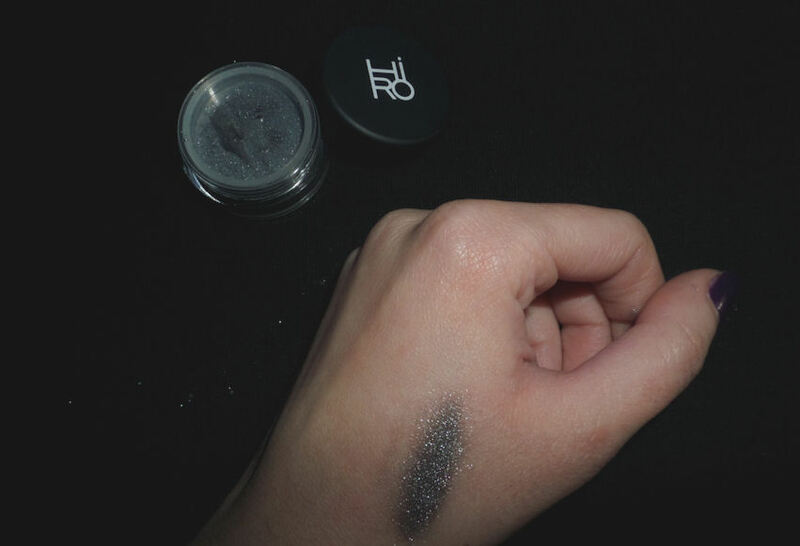 Grey Matters by HIRO is a perfect eye shadow for me. It is a dark deep grey with an icy shimmer. It can be applied dry or wet for a more intense effect. It has great pigmentation, especially if applied wet. Mineral eye shadows have, especially if you apply them wet, really a completely different effect on the eye than normal pressed eye shadows. Personally I find it really good. ncLA Nail Lacquer - Black Diamond: This unique, diamond inspired polish is part of the All That Glitters Isn’t Gold Collection and is fully devoted to everything that glitters, gleams, sparkles and shines. 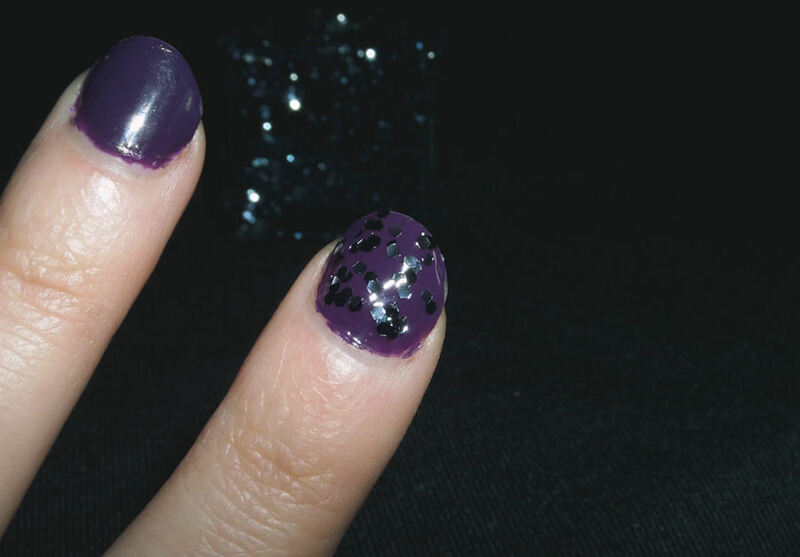 Black Diamond has a clear base with large flakes of black, dark blue and silver glitter. Features quick-drying, non-toxic formula that doesn't damage your nails. It's my new favorite polish! The more coats the more glitter! It looks lovely over any base color, best over darker shades. Perfect to give a touch of glam! Have you used any product from Amazingy, or by any of these brands?